The Macmillan Brown Library is the University of Canterbury's research collection of New Zealand and Pacific Islands materials. It is located in Te Ao Mārama: the Māori and Pacific Studies Building, on the northeast side of the campus, on Arts Road. 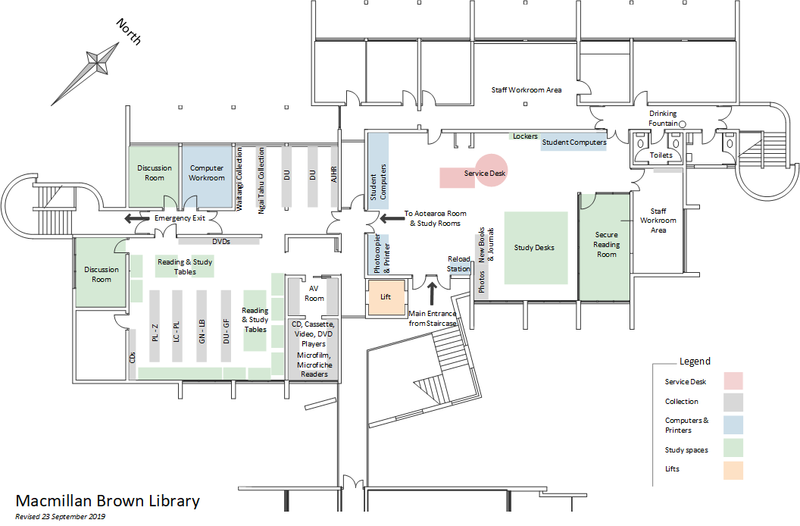 The areas in the Macmillan Brown Library include collections, a service desk, study spaces, lifts, computers and printers.